Picture evening setting in as you look out over Chesapeake Bay. Dinner is almost ready, and you want to pick the perfect wine to go with it, so you head into your wine cellar to fetch the right accompaniment for your meal. The cool air welcomes you in as you browse the shelves of reds and whites. The elegant racks show off your favorite vintages, and you take a quick look at your climate controls as you head back up for meal. Everything’s perfect. Sounds nice, doesn’t it? No matter your preference in style, we can help you design the perfect, custom wine cellar in the beautiful city of Baltimore. 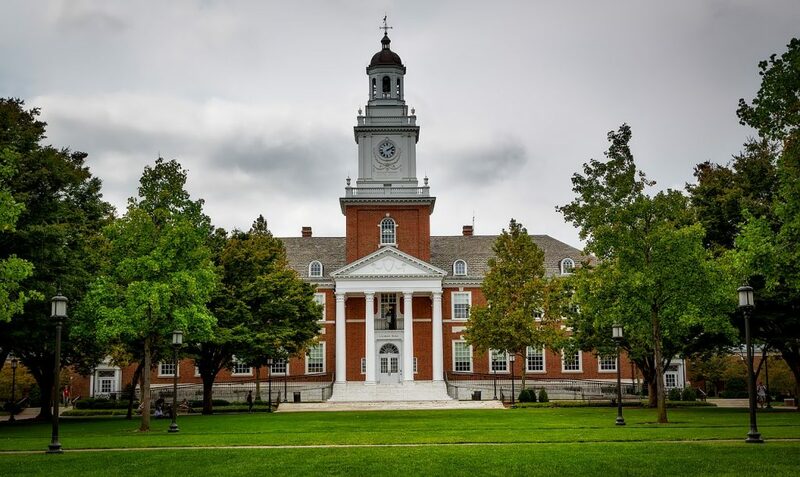 Johns Hopkins University, one of the many institutions that make Baltimore special. Baltimore is a city rich with history, culture and tradition. Its location on the Patapsco River and Chesapeake Bay has made it an important and busy shipping center, as is reflected by the city’s diverse population. History is alive and well in Baltimore. The city is home to more public statues and monuments per capita than any other US city. The Star-Spangled Banner was written against the backdrop of the Battle of Baltimore in 1814. Through the 19th and 20th centuries, Baltimore saw massive growth in population, industry, and influence, and as the city grew, so did its convergence of design styles. Cultures poured into the city from all over the world, all contributing to the beautiful and diverse city we now see. This history may not seem like an important factor when it comes to designing wine storage, but building a beautiful cellar or closet for your collection is so much more than just the practical aspects. You want a showpiece; a room that you can use and be proud of for years and years to come. By studying and incorporating elements of what makes Baltimore beautiful into your wine storage, you will be able to design a space that brings form and function together. Location: Where do we put it? The first question you need to answer as your design your space is “Where do we put it?” The next three questions can’t be addressed until we decide where the collection will be kept. Ideally, it should be away from direct sunlight, well insulated, large enough to hold the collection and required equipment, and accessible. 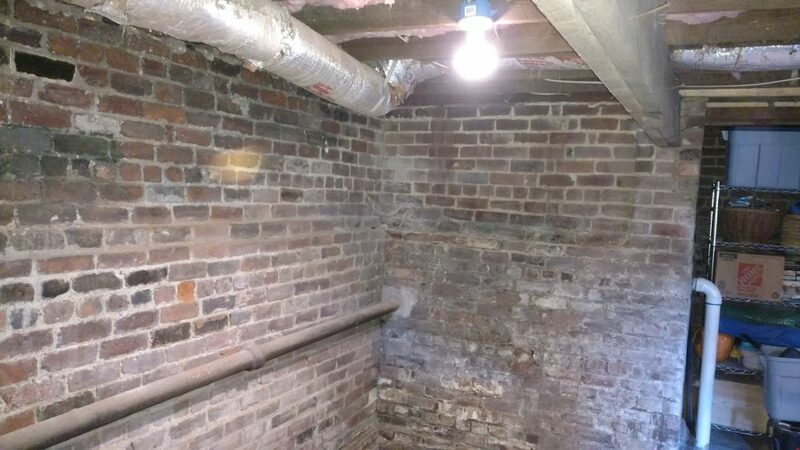 A basement is usually a perfect choice, given that they usually fit most, if not all of the above criteria. They’re certainly not the only acceptable choice, but designing a custom wine cellar in a basement can make your life easier in the long run, especially in the cold winters and hot summers that Baltimore is known for. Temperature and Humidity Control: How do we manage it? Wine cellars need to be kept between 55°F and 58°F. A variation of a couple of degrees is no big deal, but wider swings can do serious damage to an expensive wine collection. The ideal humidity for wine is 57%, and again, a variation of a few percentage points isn’t a large concern, but higher levels can cause mold, and lower levels can dry out a cork. In either case, your expensive wine is ruined. 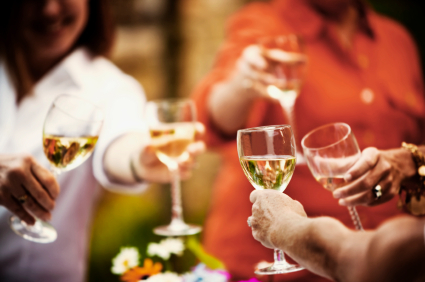 If the space you’ve chosen for your wine storage is closer to that temperature and humidity range, the smaller you can go with your cooling unit, saving you money in both your initial costs and your monthly electricity bills. Fortunately for wine collectors, humidity in Baltimore generally stays close to that sweet spot, with lows around 45% and highs around 85%. 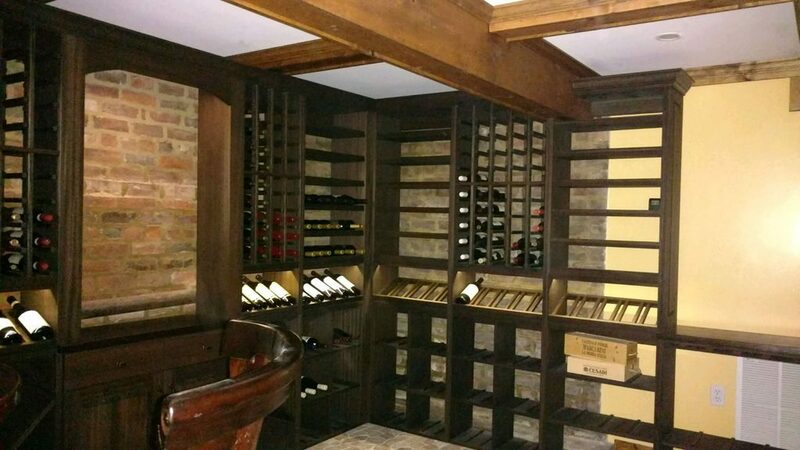 This “not too wet, not too dry” Baltimore climate means that you’ll only need to make small accommodations in your design to maintain the perfect humidity for your custom wine cellar. Storage Space: How do we organize it? Well-designed wine cellars can take up less space than you might think. A collection of up to 300 bottles can fit in under 40 square feet, depending on the racking you choose. Generally, you’ll want to select a configuration that will allow your collection to grow, without leaving too much empty space. This, again, is where you’ll want to consider how you’ll be shelving and displaying your wine. A basement is usually a perfect choice for a wine cellar, given that they are usually away from direct sunlight, well insulated, and large enough to hold a wine collection and required equipment. Racking, insulation, and lighting make for a gorgeous finished project. Once you’ve decided to design a custom cellar for your wine collection, your journey is only starting. Remember, there are experts just a mouse click or phone call away. We can’t wait to see what you come up with!